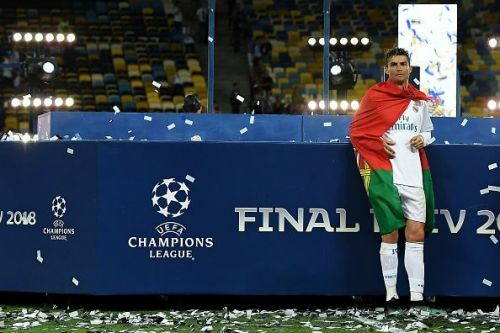 As Real Madrid crashed out of the Champions League last night, one couldn't help but think of Cristiano Ronaldo, and whether the match would've gone differently had he still been playing for Los Blancos. This isn't an uncommon thought and it is one that has been shared and pondered by many fans and pundits as Real Madrid's season has gone from bad to worse, and despite only being in early March, their campaign is essentially over. Real Madrid are out of the Champions League for the first time since 2015, what's even more alarming is that this is the first time since the 2010/11 season that Los Blancos failed to reach the semi-finals of the continental competition. Things aren't any brighter for Ronaldo's new club Juventus as despite having the league all but wrapped up, they currently trail Atletico Madrid 2-0 in the Champions League Round of 16 tie, and the Italian giants will need a miracle to overturn that deficit. However, with Ronaldo in their ranks, Juventus can dream about overturning the deficit as the Portuguese has time and again rescued his side in the Champions League. After a shocking 2-0 away defeat to Wolfsburg in the 2015/16 season, it looked as though Real Madrid were likely to crash out of the Champions League. However, Ronaldo had other ideas, and in the second leg, he would score an emphatic hat-trick against Wolfsburg which comprised of a close-range effort, a header, and a free kick. Ronaldo is perhaps the best big-game player in the world and loves thriving under pressure, especially if it means him standing in the spotlight of the footballing world. With Juventus desperately needing a huge win against Atletico Madrid, it is likely that all eyes will be fixed on Ronaldo to pull them through. Cristiano Ronaldo: Will he miss a Champions League return to Old Trafford?